A case of superhero movies growing up, James Mangold’s Western/road movie/post-apocalyptic drama is less about the X-Men and more about the humanity of a character we’ve been watching in superhero movies for seventeen years. It’s a loving end note for Hugh Jackman’s portrayal of the man. Noah Baumbach doing Noah Baumbach things, the biggest feather in the cap of The Meyerowitz Stories is the resurrection of Adam Sandler as a true blue actor. The trio of male leads (Sandler, Ben Stiller and Dustin Hoffman) make for a convincing family, and Baumbach is more than comfortable in “Patriarch Behaves Badly” sort of movies. S. Craig Zahler follows up Bone Tomahawk with an equally brutal tense action piece, this time starring Vince Vaughn (of all people) as a man trying to provide for his family who falls back into the drug world and ends up in prison, forced to carry out hits to ensure his wife isn’t killed by his former employer. Outrageously, insanely violent and shocking in every way, it shows Zahler has a gift for action in a way that is truly his own. One of the strangest facts about In the Fade, Germany’s submission for Best Foreign Language Film, is that it’s the first time German actress Diane Kruger starred in a film made entirely in the German language. We know her here predominantly from the likes of Troy and Inglorious Basterds (where she speaks her fair share of her native tongue), but In the Fade is an entirely different beast. A story of grief and revenge, Kruger leads the line as a woman whose life is torn apart by the death of her husband and son in a race-fueled terror attack, and the pain she endures seeking justice against the Neo Nazis who perpetrated the heinous act. The rise of fascism and Nazism in the West makes In the Fade chillingly prescient in 2017. I think I'm kind of alone in my love for this one, but it really got to me. Guillermo Del Toro’s most complete film since Pan's Labyrinth, The Shape of Water combines 50’s romantic melodrama with Cold War paranoia and Del Toro’s requisite love for creature features. The aesthetics are strong, the performances are great and the world is just weird enough to keep things exciting. Del Toro’s storytelling can be shaky from time to time, but he’s fully committed to the story he’s telling here, and you can feel the difference. Sally Hawkins is a wonderful, soulful lead, and the supporting cast (including the likes of Octavia Spencer, Michael Shannon, the always reliable Richard Jenkins and 2017 Oscar contender mainstay Michael Stuhlbarg) knocks it out of the park. It can feel weird to recommend this to other people (“It’s a Cold War paranoia-tinged romance between a mute woman and a fish man!”), but anyone with an open mind is sure to be rewarded. Sometimes a genre movie is just a genre movie, and sometimes it is such a perfect distillation of the form that it rises above as the Platonic Ideal of what a movie can be. The Big Sick is just that, a flawless romantic comedy that never strays from its lane, but never has to because its execution is peerless. It doesn’t hurt that it’s the true story of how Kumail Nanjiani and Emily V. Gordon met, and Nanjiani is playing himself. It’s funny, it’s heartwarming and it turns right when you expect it to. The Big Sick isn’t a challenge, but not all movies have to be a challenge. Sometimes you watch a movie just to be entertained. And few movies managed to be as purely entertaining in 2017. Edgar Wright’s latest retains his preternatural skill for storyboarding, editing and visual wit, but it lacks the emotional punch his previous films have brought to the table. The story is pretty standard stuff, and while Lily James’ character is a complete nothing, her performance and chemistry with lead Ansel Elgort goes a long way toward making it palatable. It’s a little awkward considering this now with Kevin Spacey having such an important role to play in the film, but if you can look past that, you’ll be able to focus on what makes Baby Driver special. This is the most technically impressive film Wright has directed to date, proving that he continues to hone his cinematic prowess with every new project. The car chases are sublime, and the music is fantastic. It could have used a trim at the end, but there’s plenty to love about this one. This probably would have been number one with a bullet for “Most Messed Up Movie of 2017” if not for another movie coming later on this list, Julia Ducournau’s deeply depraved RAW is the sort of coming of age story you don’t see too often. Of course, the story of a vegetarian veterinary student who is forced to eat meat as part of a hazing ritual that unlocks an insatiable hunger that bottoms out in cannibalism isn’t exactly an old saw when it comes to the well-known stories of our age. Ducournau has an eye for all manner of disturbing imagery, but most shocking of all is how confident and assured this film is for a first-time director. Once you see Raw, you’ll never forget it. As so often seems to be the case, my favorite foreign language film of 2017 isn’t going to be in contention for the Best Foreign Language Film category at the upcoming Oscars. That’s a profound shame, as BPM (Beats Per Minute) won’t receive the exposure it deserves from an extended awards push. The French drama, set in the middle of the AIDS advocacy crisis of the 1990’s, follows a group of people who formed ACT UP Paris as they try in vain to make the world care that they’re all slowly dying of a disease no one seems to understand. There’s a marked vitality to BPM, which is impressive considering so much of it takes place at community action meetings and planning sessions. With an outstanding ensemble cast and some powerful scripting, BPM is the sort of movie that should not be missed. Bong Joon-ho has been one of my favorite directors since I fell head over heels for Snowpiercer and dove deep into his backlog. He’s one of the strangest directors working today; his films are defined by crazy ideas and even crazier performances and crazy slapstick at the most inopportune times to cut the tension. Okja was announced some time ago as a Netflix exclusive, and it arrived with a bit of a whimper (as is so often the case with Netflix original films). It’s easy to miss, but could just be essential in its own way. It’s the story of a young Korean girl and her genetically modified super pig (though it’s more of a hippo in appearance) as a world’s worth of people descend on her with their own motivations. Pulled back and forth between eco-terrorists and capitalists and the food industry, the noble beast is one of the most indelible computer generated creations of the year. As is so often the case with Bong Joon-ho movies, the sense of heart is just as key as the madcap experience of the world he’s created, and Okja has heart to spare. Martin McDonagh’s bleak, hilarious slice of small town life feels like a pretty major step up from his previous two films, In Bruges and Seven Psychopaths, by virtue of focusing on true blue humanity in a way those other films did not. He’s assembled such a great cast, with the sort of dependable performances you’d expect from Frances McDormand. Woody Harrelson, Caleb Landry Jones and Sam Rockwell, and his writing is as sharp as it’s ever been. The world of Three Billboards Outside Ebbing, Missouri is a thorny one, with no easy questions or easy answers, and this one woman’s pained crusade for justice pulls everyone into her wake. Many of the characters are caricatures, but McDonagh never loses sight of their worth no matter the consequence, showing a belief that all of us are capable of just a little grace, even if that doesn’t wash away our past sins. As a pure piece of propulsive filmmaking, nothing tops Christopher Nolan’s Dunkirk, a movie that starts at a gallop and never slows down until the credits roll. Because it can’t. The best of the three movies that came out about the Dunkirk evacuation this year, Dunkirk puts the camera among the soldiers on the beach, refusing to give these men or the audience a respite from the constant peril of the Axis army closing in. The script design, split between three different timelines, bears those twisty Nolan hallmarks, but not in a way that feels gimmicky or overstays its welcome. You could perhaps ding it a bit for sometimes having difficulty following the stories of the soldiers, but this isn’t about one man, or even twenty. It’s about all of them, and what people can do to save their fellow fighters. And it just might end up being Christopher Nolan’s best film. One of the stranger films of a year of strange films, Personal Shopper is a ghost story mystery by way of Olivier Assayas, an odd combination on the face of things that turns out something akin to magical. Its opening sequence is a masterpiece of sound design, a great modern haunted house sequence. And the rest of the film, a tense experience where Kristen Stewart becomes convinced her dead brother is contacting her from beyond the grave. Personal Shopper goes in many directions before its (admittedly a little flat) finale, but Kristen Stewart is so good (her second excellent performance in an Assayas film following Clouds of Sils Maria) that the film is undeniably enchanting in its own strange way. I liked Josh and Benny Safdie’s last movie, Heaven Knows What, quite a bit, but it didn’t quite prepare me for the non-stop anxiety and adrenaline rush that is Good Time. It continues their trend of movies examining the margins of New York City, the streets we don’t think about where all manner of undesirables struggle to eek out a living. In this case, Connie Nikas (Robert Pattinson) has his mentally handicapped brother Nick (Benny Safdie) tag along with him on a bank robbery that lands Nick in jail and sends Connie on an all-night odyssey to scrape together enough money to pay a bail bondsman to spring him from Rikers before the prison population tears him apart. This very well might be the best performance of Pattinson’s career; he’s a live wire of nervous energy, increasingly desperate as one scam after another fails to pay dividends. Safdie is rather revelatory as the film’s heart and soul, the motivation for Connie to save him, and the Safdies have a visual flair and editing prowess that makes Good Time pulse with life. It’s not the easiest movie to watch, but it is well worth the experience. I’ve talked quite a bit about the importance of humanity in 2017 films (and boy did we ever need it in a year like this), but the most human of them all is Sean Baker’s The Florida Project. The story of a little six year old girl who lives at a run-down motel with her on-the-brink mother in the shadow of Disney World in Orlando, Florida, The Florida Project features one of the most incredible child performances I’ve ever seen from Brooklynn Prince, as well as a fantastic debut role from non-actress Bria Vinaite as the mother/daughter pair that form the film’s heart. Despite the fact that they have to barely scrape by to live, with the mother turning all sorts of tricks and grifts to make ends meet, the innocence of a day in the life of a little girl is marvelous to behold. Add in Willem Dafoe’s stern but loving motel manager, torn between his desire to protect the children and keeping even a little sense of authority and propriety in the sideshow circus that is the transient motel living population, and you’ve got a movie with a vital and exposed beating heart. No one saw Get Out coming. I’m not even sure Jordan Peele saw Get Out coming. The most satisfying horror film of the year is also one of the year’s best social commentary pieces and the most daringly staged film in this post-Trump world (sorry, The Post, you’re not even close). The detail in this film, the little moments and foreshadowing and asides, is staggering, and the cast is so wonderful. It’s the sort of film that rewards multiple repeat viewings as you figure out just what Peele was up to, and it has a great ability to make you laugh and then catch that laugh in your throat. But more than anything, Get Out has established Jordan Peele as a serious voice in Hollywood, and I can’t wait to see where he goes next. A beautiful ode to the power of love and the difficulty of holding onto it, Call Me By Your Name heralds the true blue arrival of Timothee Chalamet as one to watch out for. 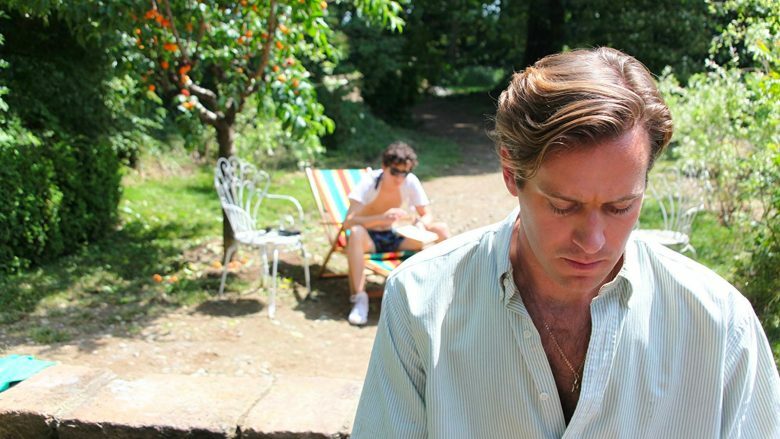 The idyllic setting of an Italian villa in the early 1980s sets the scene for a romance to form between Elio (Chalamet) and Oliver (Armie Hammer), an impossibly beautiful and charismatic American graduate student working for Elio’s father for six weeks during the summer. There’s an undeniable realism to their courtship, full of awkward moments and false starts as Elio confronts his budding and confusing sexuality. And its final act is an all-timer, stripping away any grandstanding or thick skin to just capture the emotional devastation of a first love lost. I think most of us who have been following Greta Gerwig’s career probably could guess that she had this in her, but seeing just how good Lady Bird turned out to be could still be chalked up as a surprise. The verisimilitude she creates in putting small town Sacramento California life on screen, the specificity of the Catholic high school experience, it all makes Lay Bird feel so lively, and another wonderful performance from Saoirse Ronan and an excellent supporting cast (Lucas Hedges, Tracy Letts, Timothee Chalamet, Lois Smith, Beanie Feldstein, etc etc) is the topping on the cake. Really, though, it’s all about Ronan and Laurie Metcalf putting together such a genuine mother daughter relationship, one with so many shades of meaning, so much love and hate and humanity. There have been a lot of movies built on the authenticity of their relationships, be they Call Me By Your Name or The Big Sick or (in its own undeniably strange way) The Shape of Water, but Lady Bird rises above the rest. Greta Gerwig has the talent to do whatever she wants in this business. And after Lady Bird, she’ll be able to. David Lowery’s first film that really worked for me, A Ghost Story is a loving, metaphysical ode to the rushing river of life, the way events and experiences can come and go or pass us by without the time or consideration of its gravity. His vessel for understanding this is undeniably odd, but there’s a beauty to the slow-moving contemplative child-like ghost covered in a white sheet that observes life as it happens. I love how it’s clearly set up to be about grief, about watching Rooney Mara have to contend with the loss of her husband and her greatest love, but doesn’t stop there, morphing into something all the more universal. It touches on the importance of family and loved ones, but also the attachments we develop to our homes and the difficulty we have moving on from a place that has become part of us. There’s a beauty to the stillness and the contemplation of A Ghost Story, and there isn’t really any other movie quite like it. The most polarizing movie of 2017 (well, considering how the internet seems to be responding to Star Wars: The Last Jedi, that may no longer be true) is one that I fell heavily on the positive side for, holding its place at number 1 in my list until late November. mother! Is Darren Aronofsky acting without anything even remotely resembling a filter, creating a wild and uncompromising reflection of his own brain in all of its terror and glory. The story of a married couple (Jennifer Lawrence and Javier Bardem) living in a remote mansion while he deals with writer’s block and she renovates the house is simply a structure on top of which Aronofsky layers a series of allegories, each more clearly defined than the last (the man has never been a subtle storyteller). It’s a twisted retelling of major events of the Christian faith. It’s an indictment of a society that seems hellbent on sucking the environment dry and burning the world down for our ancestors to deal with. And it’s a close-up view of the psychosis of self-described creative geniuses and the havoc they wreak on their friends, family and loved ones in pursuit of their next project. It’s an incredibly vain picture in that sense, and could easily turn viewers off as a monument to Aronofsky’s own engorged sense of self-worth. But mother! Self-deprecates just as often as it self-aggrandizes, allowing Aronofsky the time to create one of the most shocking and disturbing films of a career that’s had more than its share. Lovingly and imrpessively shot by Matthew Libatique and bolstered by powerhouse performances from its leads, mother! did everything right. It is amazing (and perhaps a little bit galling) how much emotion Don Hertzfeldt can wring out of a 22 minute short cobbled together from the recorded play sessions of his four year old niece. But the second chapter of World of Tomorrow proves without a shadow of a doubt that he is a master of existential angst in a way we don’t see too often anymore. Emily Prime’s second trip into the wild, surreal world of the future puts her alongside Emily 6, a broken backup model of one of her future selves with a fragmented brain and a desire to feel just a little bit more, even if she can’t really comprehend what’s going on anymore. Moments of World of Tomorrow Episode Two cut to the heart, showing the beauty of despair and the power of acceptance and companionship better than most movies can with five times the length. I don’t necessarily believe that episode two is better than the film that preceded it, but it retains that unique combination of innocence faced with the emotionally crushing yet still uplifting big scary world out there. Another masterpiece from Hertzfeldt. If this is indeed the last time we see Daniel Day-Lewis grace the silver screen with his presence, he’s going out on a hell of a high note. His second collaboration with Paul Thomas Anderson couldn’t be more different than There Will Be Blood, and while it took a decade for them to cross paths again, the final result was definitely worth the wait. Phantom Thread has the stately pace that is so often found in Anderson’s films, but it also has quite a lot of whimsy to it as well, making for his funniest film since Punch Drunk Love. It’s a comedy of manners and a romance, but in the most unconventional of ways. Day-Lewis is perfectly cast as an outrageously exacting and officious man who cares so little about romance that he has his sister break the news when he’s over a paramour, and Vicky Krieps gives a star-making performance as the woman who is more than capable of standing up to his personality. Their romance is troubled and torrid in a way that’s more than a bit cartoony at spots, but the energy from the two leads, another great Jonny Greenwood score and PTA’s perfection combine for one of the most sumptuous and grand films of 2017. It’s rather tragic that the best movie of 2017 barely got a release in theaters, but (and this is becoming a theme) that’s Netflix for you. Dee Rees’ powerful and contemplative look at two families in Mississippi in the 1940s is a sprawling and often uncomfortable confrontation of race relations in a post-Civil War South that never really got on board with racial equality. It’s such a strong ensemble, but my favorite aspect of Mudbound was the relationship of the two family’s eldest sons (played by Jason Mitchell and Garrett Hedlund). Both leave their respective families to enlist and fight in World War 2, and both are profoundly altered by the experience. But as they return home, the crushing reality that nothing has really changed sets in, with the black boy still outcast and abused despite putting his life on the line to protect the very people who don’t think he’s even worth being spit on. Mudbound is a difficult film to watch, but a gorgeous one, with some of the best cinematography and performances of any film in 2017. 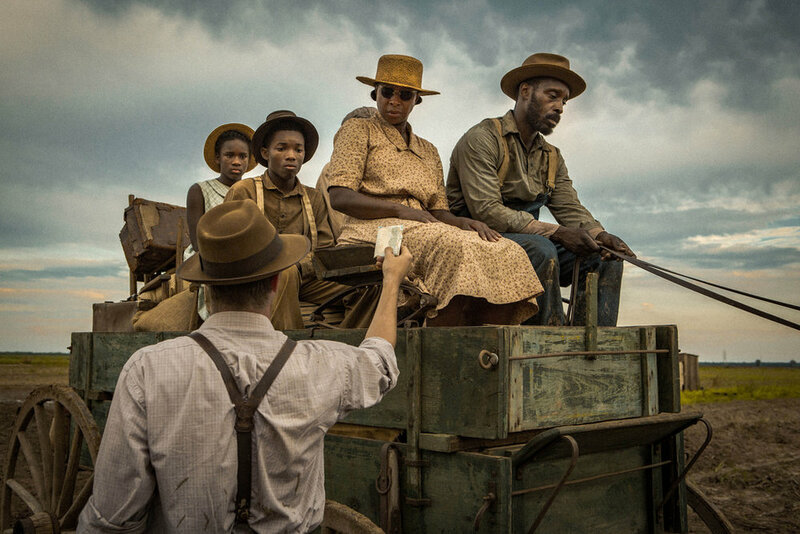 Mudbound is easy to watch but also easy to ignore, but doing so would be a huge mistake. Dee Rees has made the most engrossing, most engaging and most powerful film of 2017. And there we have it. I'll still have plenty of coverage going up in the early new year, but for now, that's a bow put on 2017. Happy new year, dear readers. I'll see you on the other side.